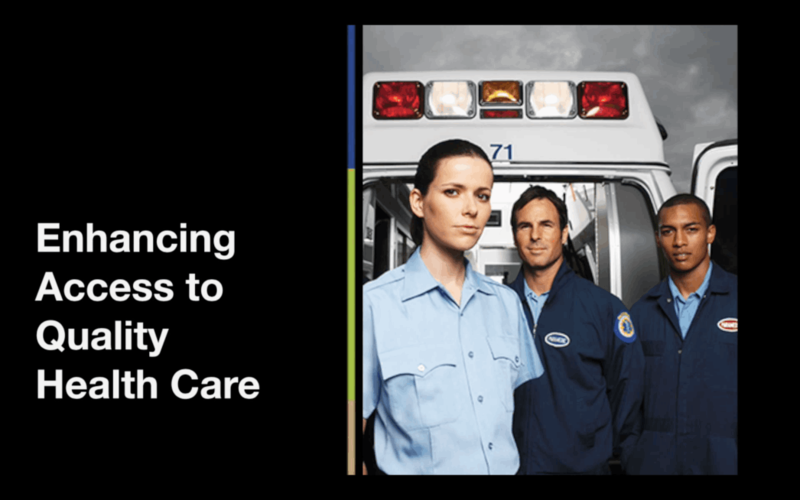 Learn more about our new service to help patients by providing needed assesments, care and case coordination, all aimed to prevent unnecessary ER visits, as well as hopsital admissions and readmissions. Currently, we only take cases referred to us by hospitals and providers. Some patients require care at home that our Community Paramedics can provide, upon referral from the patient's physician or facility. These services include: follow-up after discharge from a hospital, fall prevention in the home, blood draws and medication reconciliation. For more information about the program, contact us. 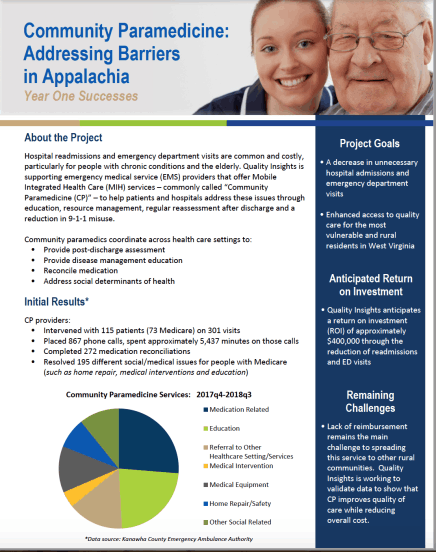 Kanawha County Ambulance has been praised for improving our patients' lives in the first year of our community paramedicine program. Check out the annual report. 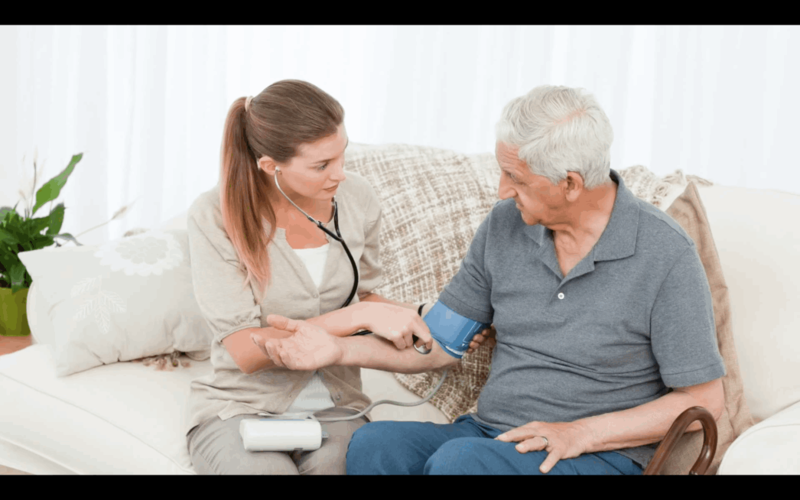 Does a CP replace current home health care or primary care providers? No, the CP is an extension of the ordering provider, to deliver care to patients with limited access or no access. Also, the CP does *not* replace specialized services available through home healthcare or at their physician's office. How does the quality of care compare to my doctor? The CP provides care under the physician's supervision, so the quality of care is consitent with that provided ina clinic setting. Currently, enrollment requires referral and determination of qualification by the patient's physician, as well as enrollment by either the physician or the facility. Can I get a CP by calling 911? No, a CP will not come if you call 911. Those enrolled in teh CP program and their physicians are provided the dedicated toll-free number for CP services. Who pays for CP services? At this time, the referring provider or entity pays the subscription costs for a patient enrolled in the program.